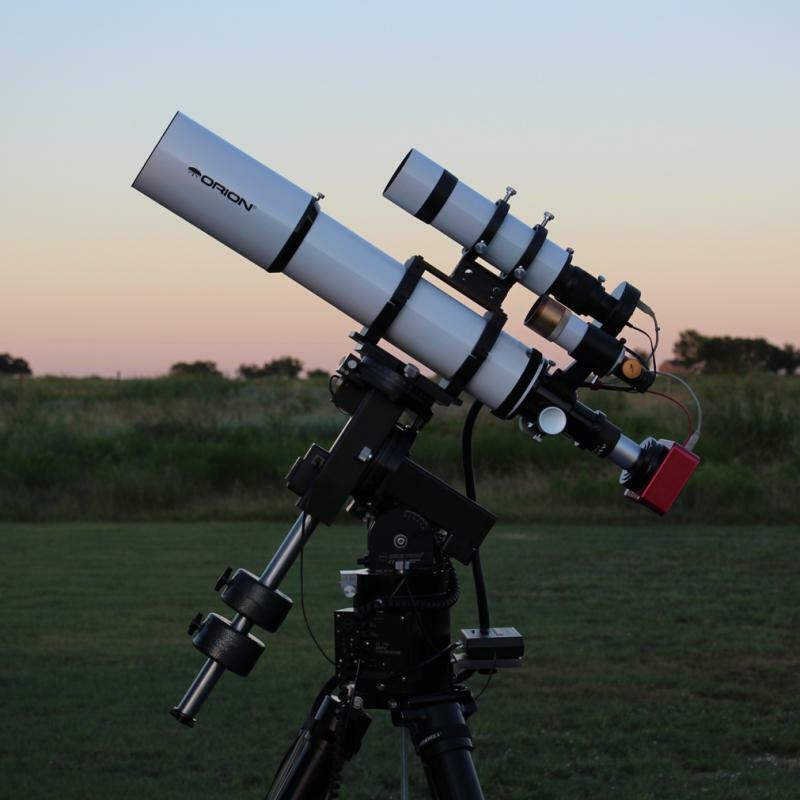 I am in the process of trying to select an equatorial mount that can be used for visual and for “casual astrophotography.” I have looked at the Celestron CG-4 (+ motor drive package), AVX, CGEM; the Orion Sirius and Atlas EQ-G; the Losmandy GM8S; and the Skywatcher EQ3-2 with the "Advanced" tracking motor package that includes a ST4 port for guiding (Teleskop-Express offers this). Concerning visual, I am really not interested in GOTO (I have darkish skies in my backyard and have plenty of stars from which to hop) and would be very happy pushing to, using finder scopes, and then locking the clutches/tracking. My primary motivation here is to start using the equatorial coordinate system for reference (all of my other mounts are Alt/Az) and to have basic tracking available. If it were not for the idea of doing AP, the regular slow control knobs would probably be all I would want and I would skip tracking motors completely. Of the amounts above, it looks like only the CG-4, Orions, and the Losmandy have setting circles, but I have read that circles of the size that come on these mounts may not be very useful anyway and that finders are better. Concerning AP, I am responding to an ongoing request from my wife for pictures! I am a bit adverse to using too many electronics in the field, but I am going to give AP a try and see if I end up liking it. This mount would be used with my Celestron C6 SCT (with reducer/corrector), Vixen ED81s (with reducer/corrector), plus a DSLR camera (a Canon 50D + BackyardEOS). I would also probably use the mount with just the DSLR camera body + lens. I am a total beginner at AP and would be going after larger/brighter deep sky objects as a start – including very wide field/Milky Way, star clusters, galaxies, and nebula. I believe that if I use the DSLR as a camera with lens than any of these mounts would work for DSLR wide-field AP - including the CG-4. If I move to DSLR + telescope, it seems like the need for guiding would probably come into play fairly quickly. My plan is to start WITHOUT guiding and see how I like AP before acquiring any additional equipment, but if I do end up enjoying AP then it seems like having a mount that supported guiding might be a good idea. If I don't like AP, I would like to end up with a good EQ mount that can be used for visual without having to use GoTo. The CG-4 and the GM8S both look like they might be workable solutions, even though they are in totally different classes of capacity/quality. Regarding all of these mounts, I would like to keep the weight down as much as possible and only buy as much mount as I need for the equipment outlined above. And, cost is a consideration. The Losmandy GM8S looks like a high-quality solution for what I am trying to do, but by the time you add a polar alignment scope it is much more expensive than the other options I have identified so far -- probably more than I want to spend. Would the setting circles on any of these mounts be of any practical use in getting into the general vicinity of targets? If the setting circles on the Sirius EQ-G aren’t very useful anyway, would I be better off falling back to the AVX for my intended applications? I would really appreciate some experienced perspectives here. Thanks! 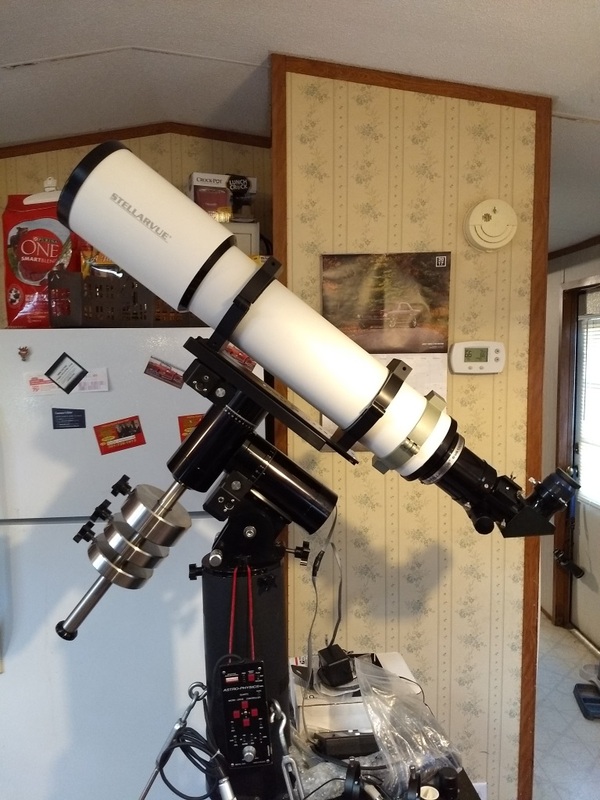 Also being not a big fan of go-to either I opted to buy an older Astro-Physics mount, the AP400QMD and later added its bigger brother the AP600E QMD. While they don't have modern roller bearings they are very smooth and the engineering puts about all the smaller Asian mounts to shame bare none. And since I no longer consider AP as a serious activity they are fine for occasional use. Both of mine came with factory 10K encoders on both axis and I am fine with push-to if I want to bother to use it. Congratulations enjoy your new mount. Let us know how you get on with the mount as I am interesetd in the GM811as a possible future option. Will do. It arrives on tomorrow. The GM811G arrived here in New Hampshire on an appropriately cloudy night. I will not try to put everyone through a gratuitous/tedious, ceremonial unboxing ritual, but I do have to say: we have left AVX land far behind here. This mount has an industrial-strength build (and, yes, it's pretty heavy - not even remotely "grab and go."). I have my 150mm f/5 refractor mounted up, and I am still trying to internalize the concept of this OTA pirouetting effortlessly in RA and DEC. If you can find an old Celestron CI-700 grab it. It has a nice tripod will handle much more weight than many of the lower cost mounts and it will auto-guide nicely. Put a DSC system on it and it will be a very good "push to" mount. They show up on CN from time to time. So far, so good. I have been using the mount with my C6 and Vixen 81mm APO - needless to say, it is super stable with these OTAs. In comparison to Celestron Nexstar, the Gemini 2 system feels pretty old school in terms of UI and the online support/documentation. That said, it is proving to be intuitive and easy to learn the basics and the pointing accuracy is very good. This is my first time to really work with a GEM, so I am just focusing on the basics of polar alignment and on building GoTo models (East and West) with the Gemini system and learning its UI. 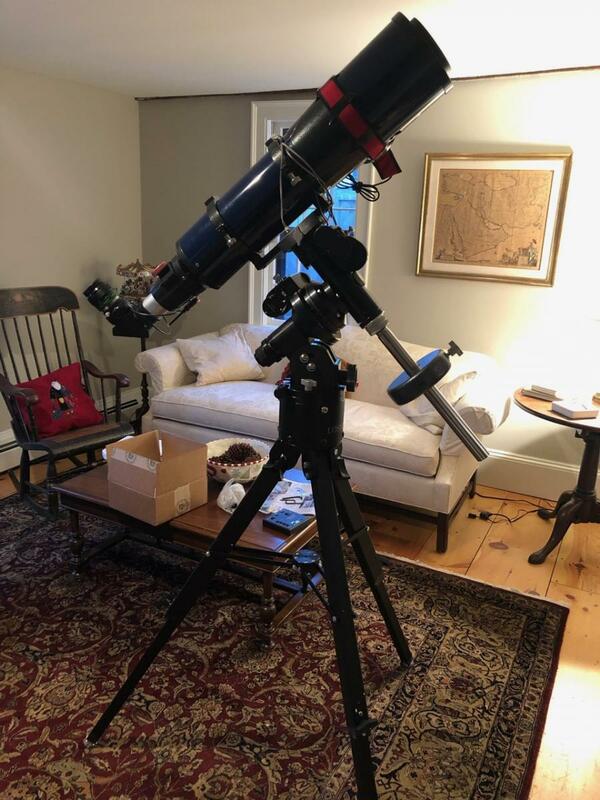 I can move the whole mount + tripod + C6 fully assembled from my shed to my backyard observing area, so I am glad I went ahead and went with the 811 instead of just the straight 8. The additional 6 lbs of weight isn't an issue for me. I did order a smaller 7 lbs. weight for use with my smaller OTAs and it turns out that that was a good move. The 81mm APO just uses that weight pretty much right up against the DEC housing.